WordPress says I have 92 published posts, but somehow I have put myself at 99 by my naming convention. Oh well. Me and wordpress will agree to disagree. I was kinda hoping to have my post 10.0 on January 1, but it won’t happen if I don’t post number 9.9. I have a post halfway ready with swap results, but wanted to wait until recipient received my swap blocks. My guess is that they’ll get there next year. But it’s done and IN the MAIL! With the holiday and my buying marti michell templates, I am distracting myself from my other projects. I am trying the templates for diamond blocks for a 3d-style pattern using the 60 degree diamonds. I do want to make some equilateral triangle quilt too. Which is why I opted out of the mylar hexagon templates at the LQS. More options. And I MAY even hand piece. May. Also I really need a true friend or relative that can knit. Because I currently have to buy my luxury socks from walgreens. That’s all for now. 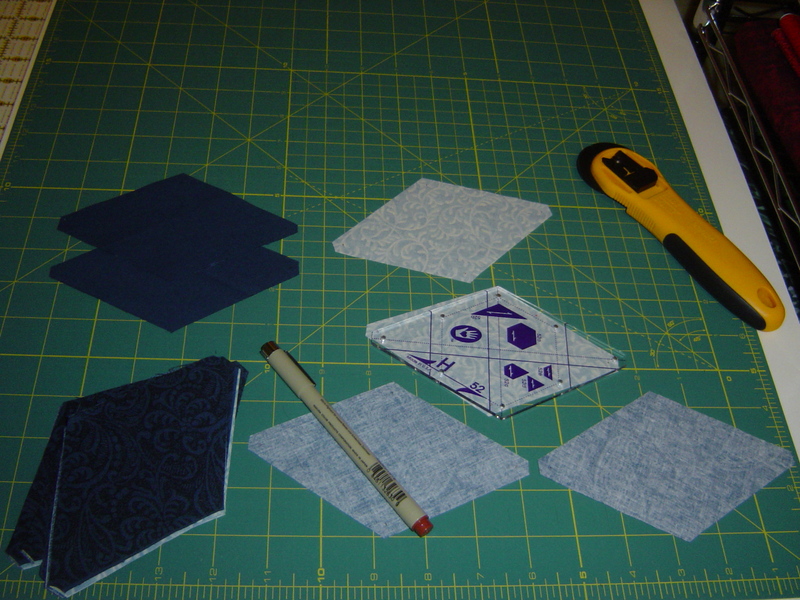 Working on a quilt as you go project with the blocks I received in the swap. 1/4 blocks (25%) quilted, all cut and basted, and 50% marked. Also “way important work things” that have taken up way too much of my energy and negative focus lately.